♫ It's the most wonderful time of the year. That's right- its interview season. 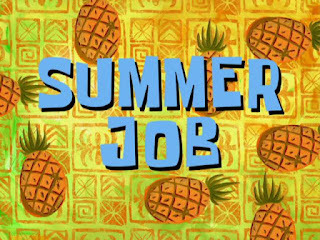 Employers are hiring for summer positions, preparing for the fall, and maybe (if lucky) you may also have an interview for a full-time position. No matter what your interview is for, one the most common questions regards your weaknesses. When mentioning the weakness, also mention how it can be turned positive. Although you want to be honest with your weakness, I would encourage you to share how you plan to turn it into a positive and something that can then further enhance the job. Lastly stay away from "I work too hard" or "I like things a certain way"...because, lets be honest, everyone could work harder. When the employer hears that, they don't think of it as a weakness, but rather a poor excuse for not acknowledging your 'flaws'. This is your opportunity to discuss places of weakness, but also how you are open to growth and learning opportunities. Its your opportunity to be honest, to show them you are not a perfect human being, but rather doing everything possible to become one.